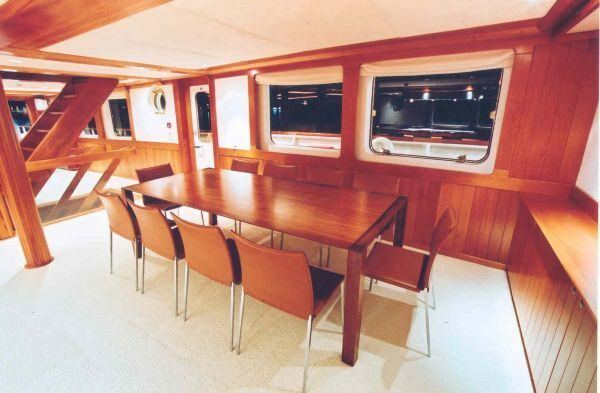 LATITUDE can accommodate 12 guests in 6 cabins. 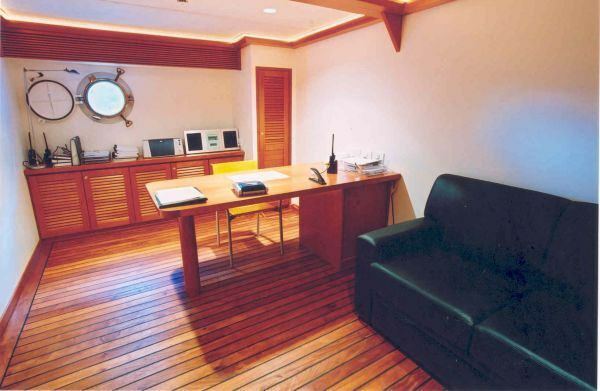 The master stateroom, which includes an office, is located on the top deck and aft of the wheelhouse. This suite opens onto a balcony that overlooks the pool/jacuzzi deck. 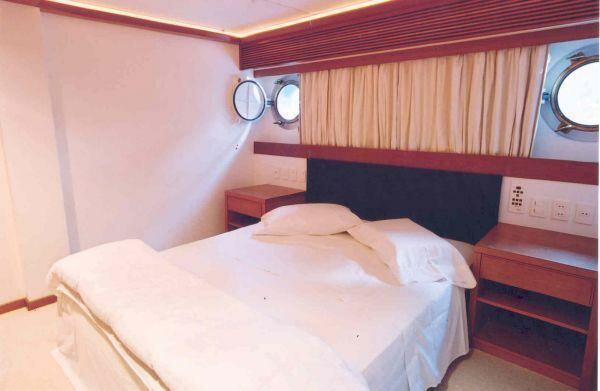 Total privacy and the best view aboard are afforded this suite. 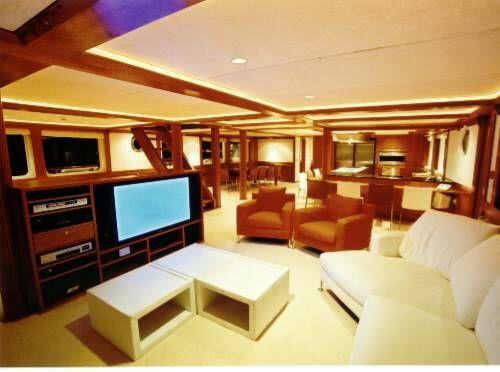 The Main Salon is is very tastefully decorated and located amidships. It offers four areas including the private galley, a dining room with seating for 10 guests, a lounge area with two sofas, chair and entertainment center and an additional entertainment area with a small game table with seating for 4. 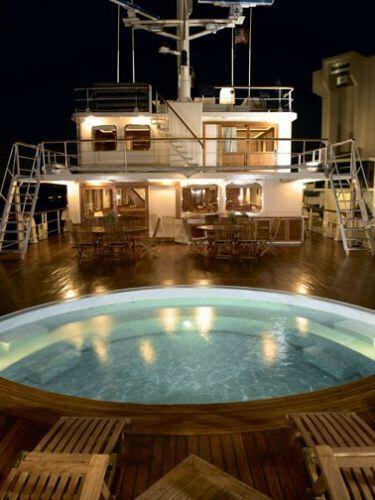 Aft of the main salon is the jacuzzi/deck with large sunning/lounging area and an observation area that looks aft over the tender deck and helipad. The galley on deck is state-of-the-art gourmet type galley equipped with the Miele, refrigerator/freezer, steamer oven, microwave, dishwasher, Gaggenau six-burner cooktop/grill, deep fryer. 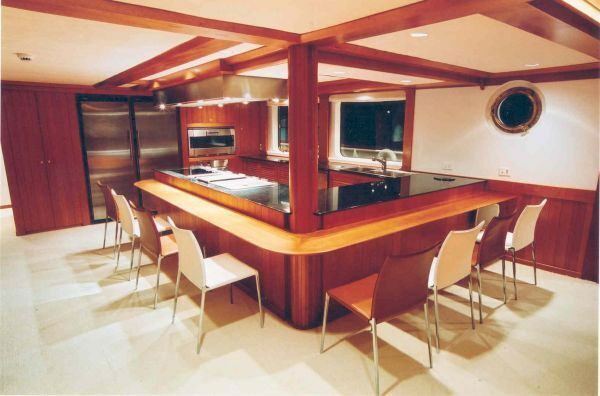 There is a custom built countertop seating area that surrounds the galley for dining. There is a freezer room forward of the ship's regular galley that has (3) Liebherr chest freezers, (3) GE standup refrigerators, coffee station, and a dumb waiter. There is a day head in the main salon with marble tops. There are custom made bronze-trimmed windows in the salon that give a panoramic view. Next to the wing doors is a bar with liquor storage. The entertainment area with the leather sofas has an accompanying coffee table that is custom made of leather and a full entertainment center with with an over-sized flat screen TV. The carpet is white Berber and there is custom artwork displayed throughout. 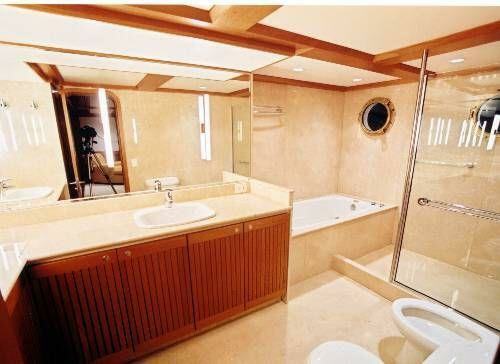 Below deck is the Captain's private cabin which has an office and ensuite head/shower. 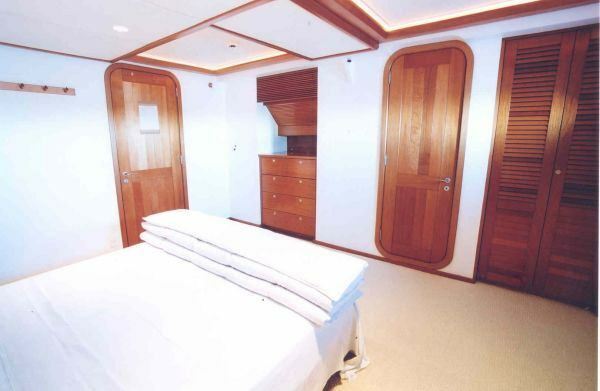 Also below decks is the Crew's quarters which is large to accommodate 15 crewmembers with a TV/ galley/seating area/dining and full accommodations. There is a professional laundry room with (2) washers and (3) dryers and a pressing area.